Weighty Matters: Is The Obesity Society's Silence on Coca-Cola Due to Motivated Bias? Is The Obesity Society's Silence on Coca-Cola Due to Motivated Bias? That was the question I asked on Twitter last Thursday. Pro or con, I think @ObesitySociety ought to have a position given their billing as North America's premiere sci. org. dedicated to obesity. My tweets went unanswered, and in case you're not sure what they were all about, last week saw Anahad O'Connor's front page story on Coca-Cola's funding of the "Global Energy Balance Network" (GEBN) make some massive waves and generate huge public interest. And it wasn't just about covering the news. Letter writers to the NYTs seemed furious. So did The New York Times' and USA Today's editorial boards. Regardless of where you fall in the debate on the messages being put forward by the Coca-Cola funded non-profit, I think it's safe to say that this story is the most publicized story ever written on partnerships between the food industry, scientists, and non-profit, obesity focused, NGOs. 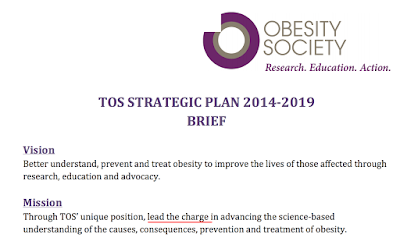 "The leading professional society dedicated to better understanding, preventing and treating obesity"
"lead the cause in advancing the science-based understanding of the causes, consequences, prevention and treatment of obesity"
would feel it important to add its own voice to the discussion - pro or con. Which brings me to "motivated bias". And then to prove they were serious about it struck a "Food Industry Outreach Task Force", which later morphed into their "Food Industry Engagement Council", the 2014 meeting of which included representatives from Kellogg's, PepsiCo, Nestlé, Dr. Pepper and Ocean Spray. Friendships may also have a role to play in the silence here - friendships between TOS' leadership and the scientists headlining GEBN (one of who is a TOS past president), as well as friendships between TOS' leadership and Coca-Cola's, whereby judging from their tweets to one another, Coca-Cola's Chief Scientific Officer and one of TOS' current council members are genuine friends. Lastly, given there's no available list of GEBN members other than its executive, it's also possible there are many other TOS members involved. 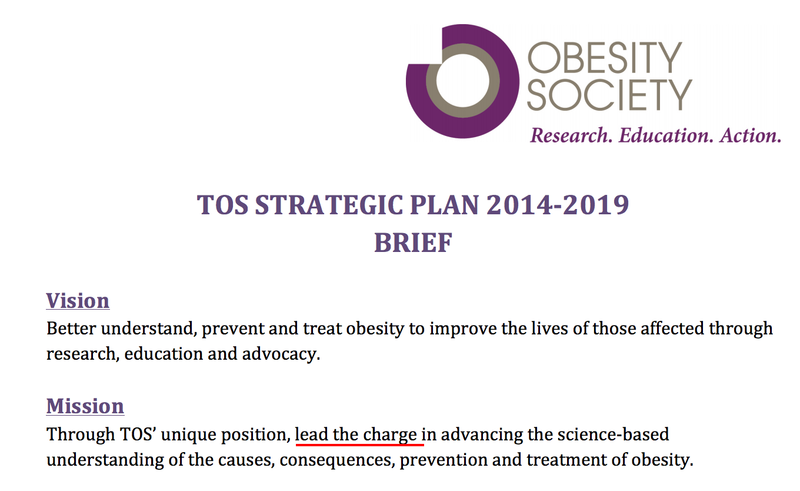 It's important to note, motivated bias isn't nefarious, it's human nature, and given TOS' silence in the face of this story, along with their stated interest in food industry partnerships, I can't help but wonder if motivated bias is what's keeping them from weighing in. Motivated biases and motivated silences, whether they're present in this case or not, are undeniably among the primary benefits the food industry enjoys when partnering with public health organizations whose causes may be negatively impacted by the partnering industry's products.